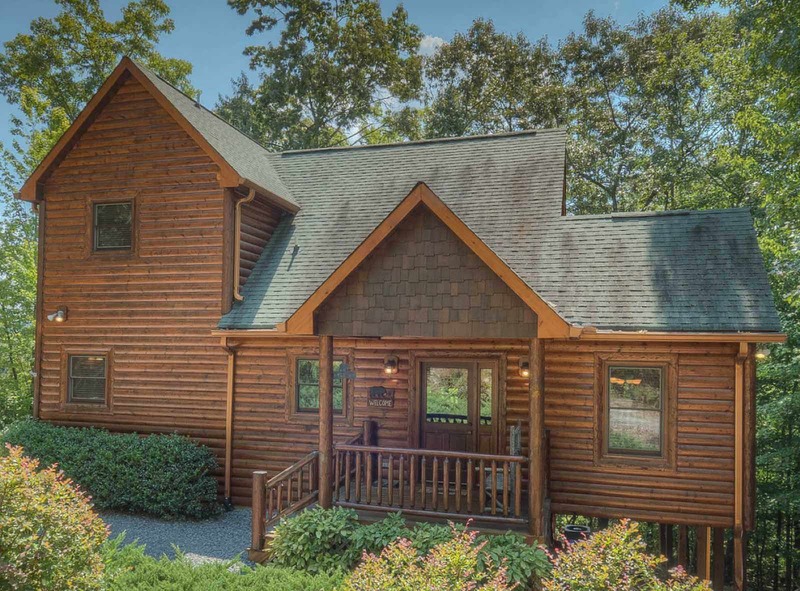 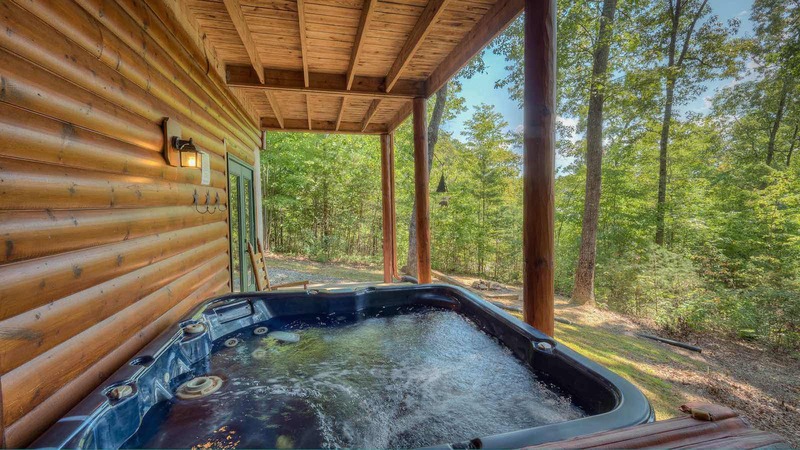 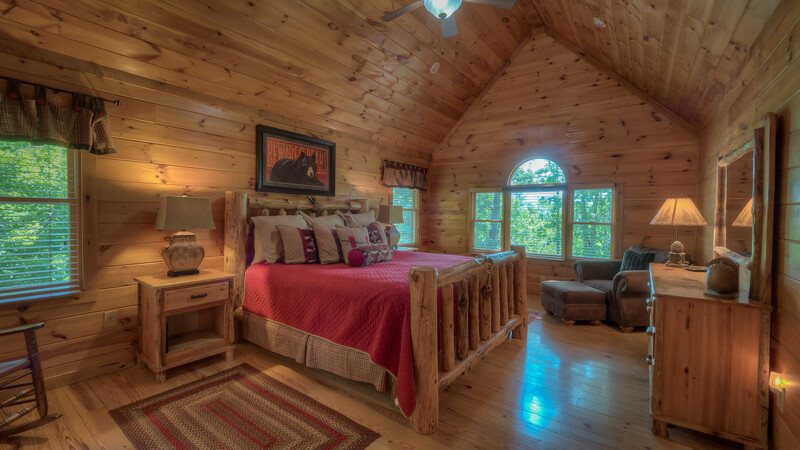 You will certainly be living "A Beary Good Life" while staying in this cabin. 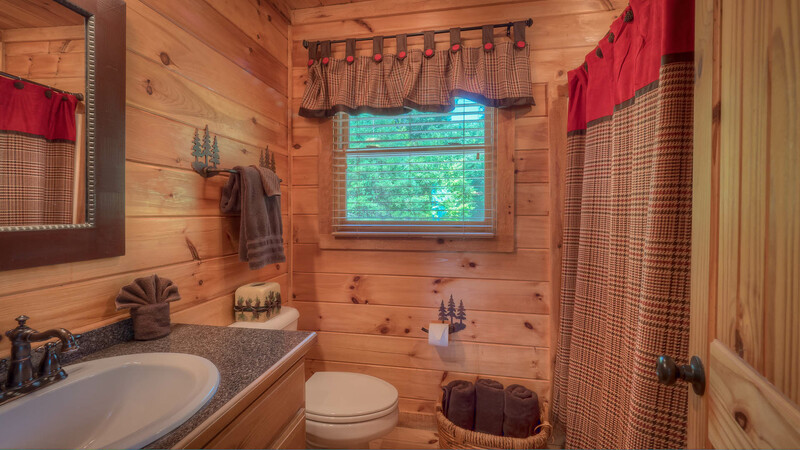 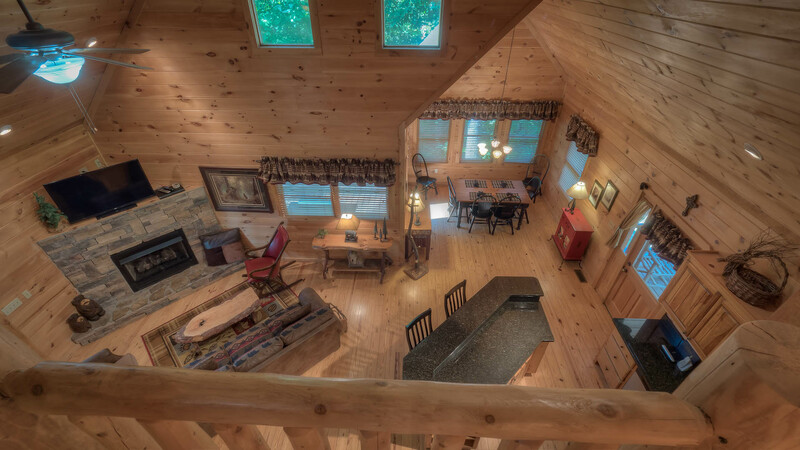 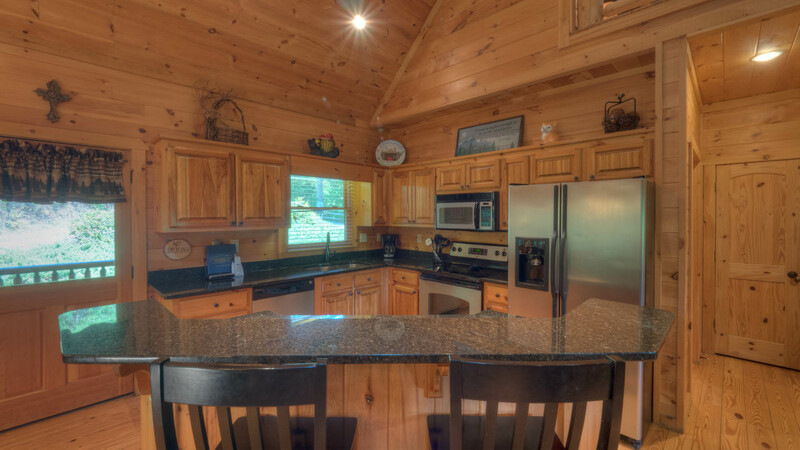 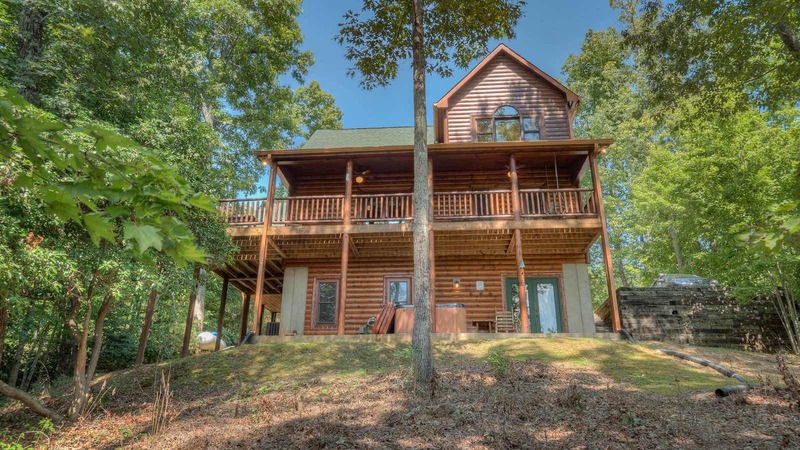 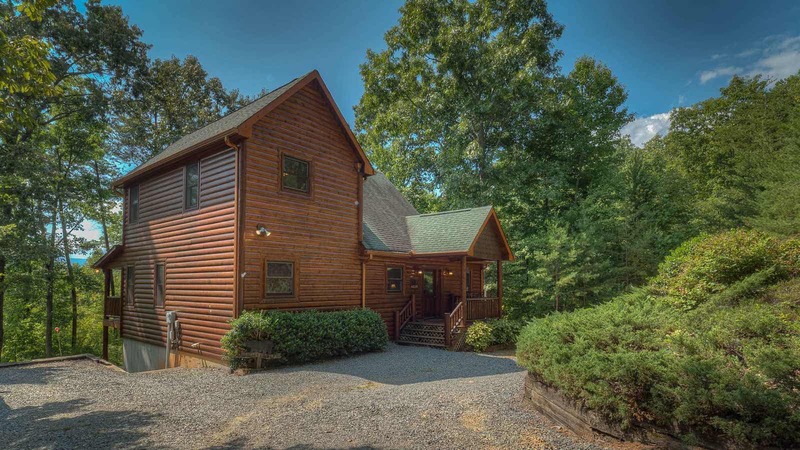 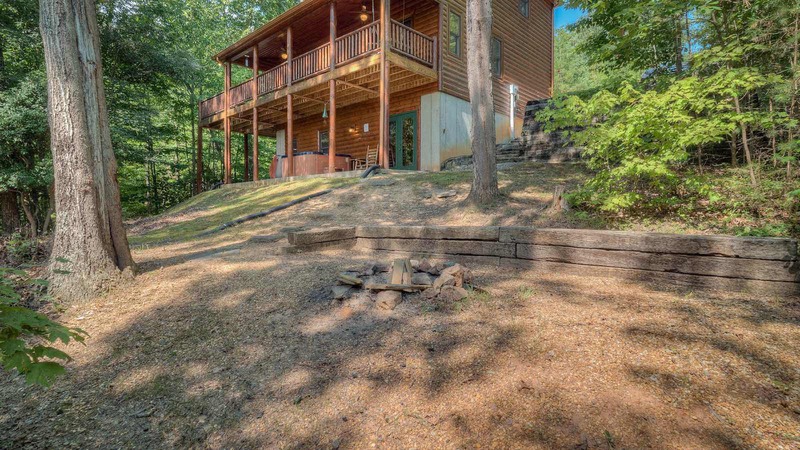 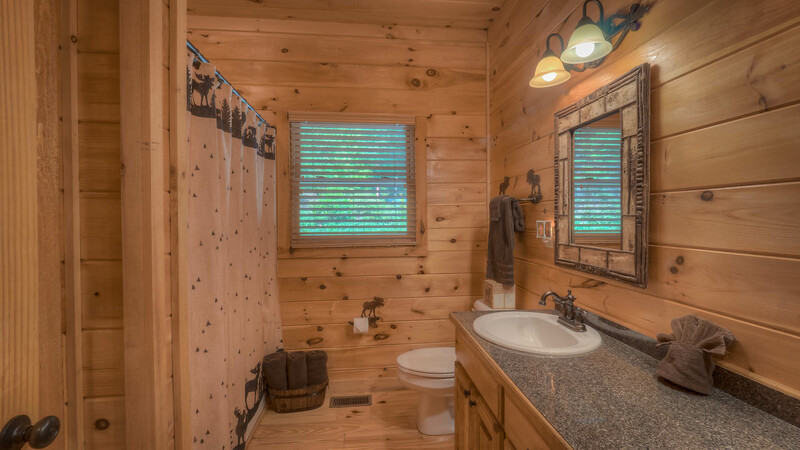 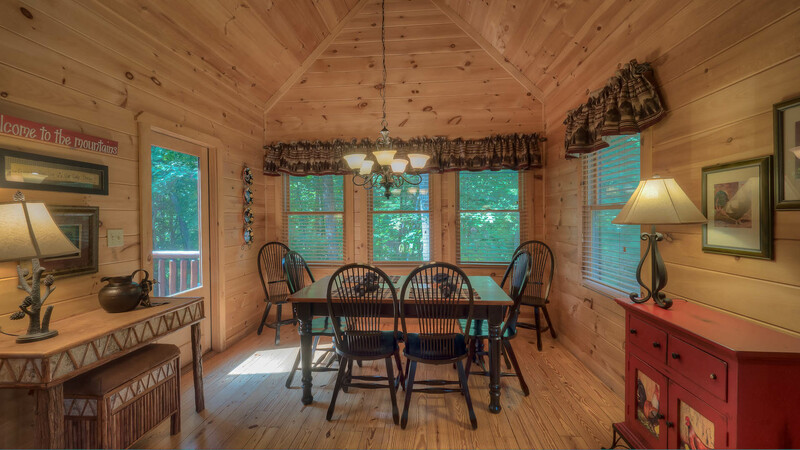 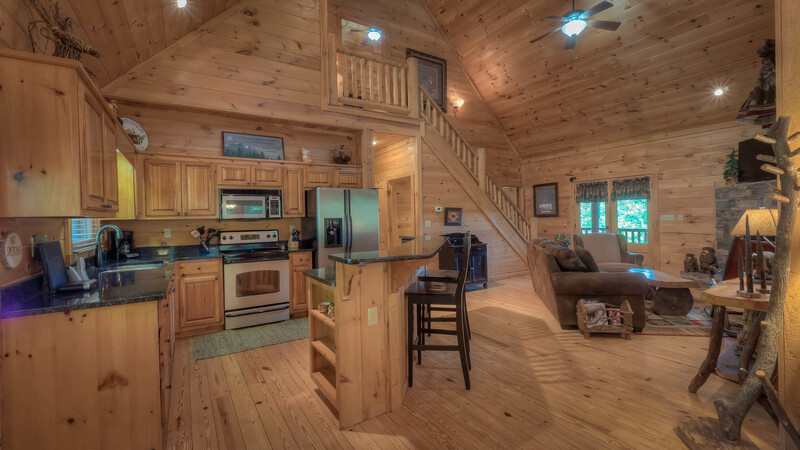 This beautiful cabin has all the features you have been looking for and is beautifully decorated! 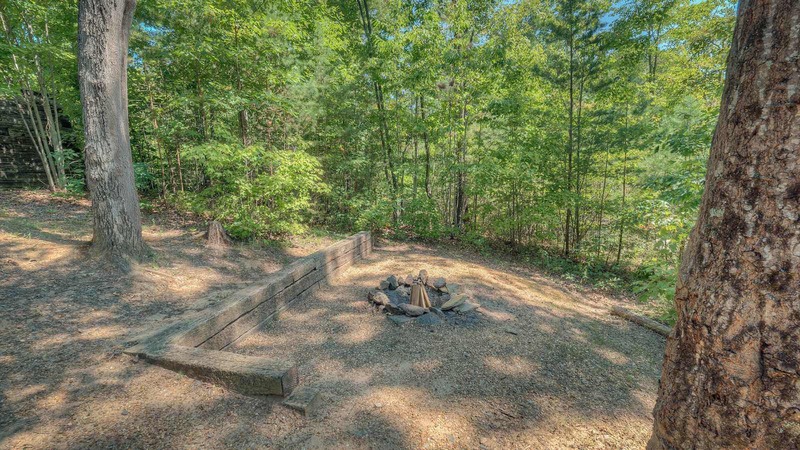 Just minutes from town, yet in a quiet area. 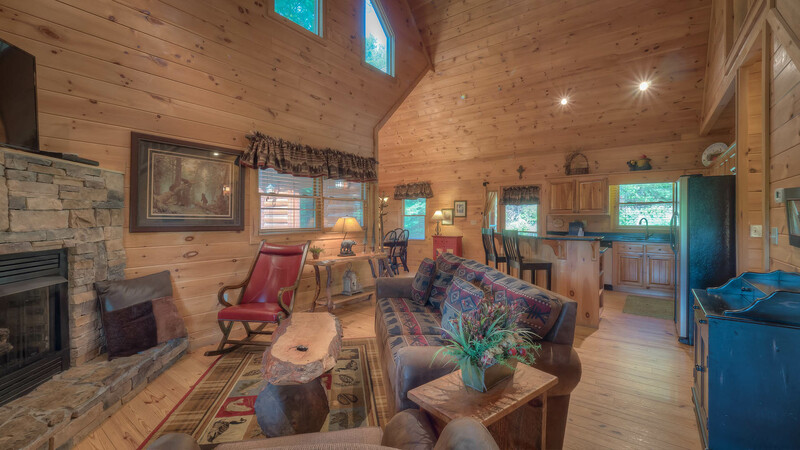 The main level features a greatroom with an upgraded kitchen with stainless appliances and granite countertops, a separate dining area, and living room with leather furniture and rocked gas log fireplace with flat screen TV and DVD. 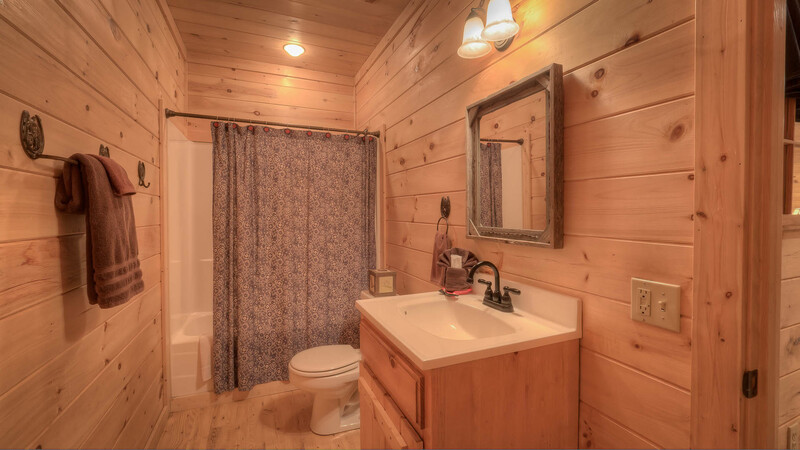 There is also a 1/2 bath just off the greatroom. 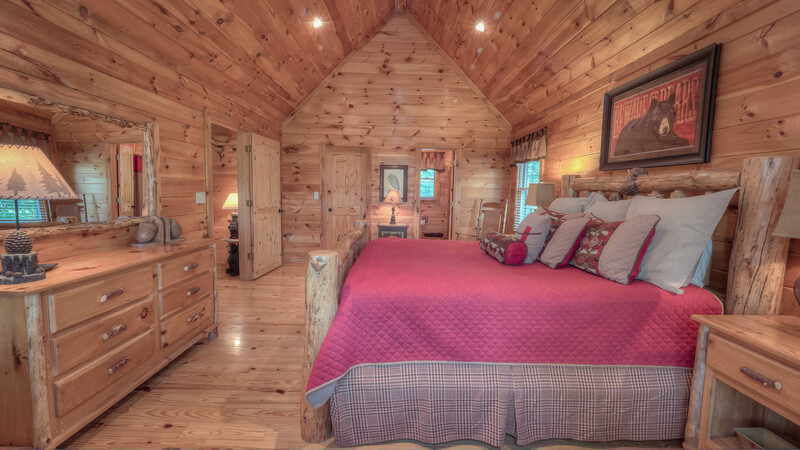 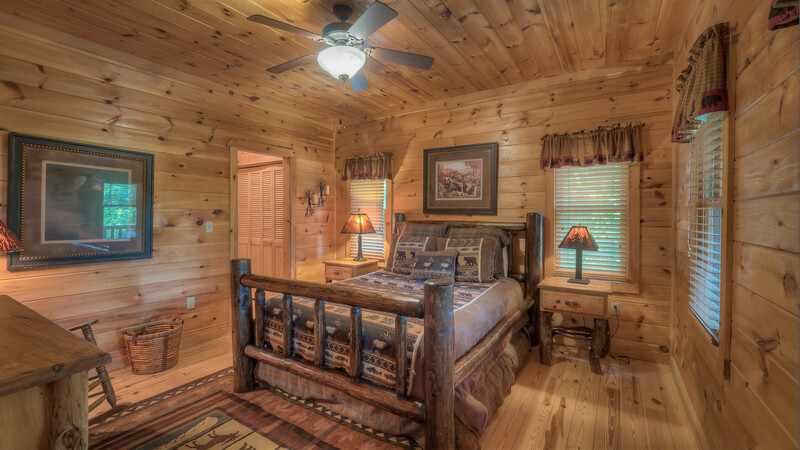 The bedroom on the main level has a queen log bed and full private bath. 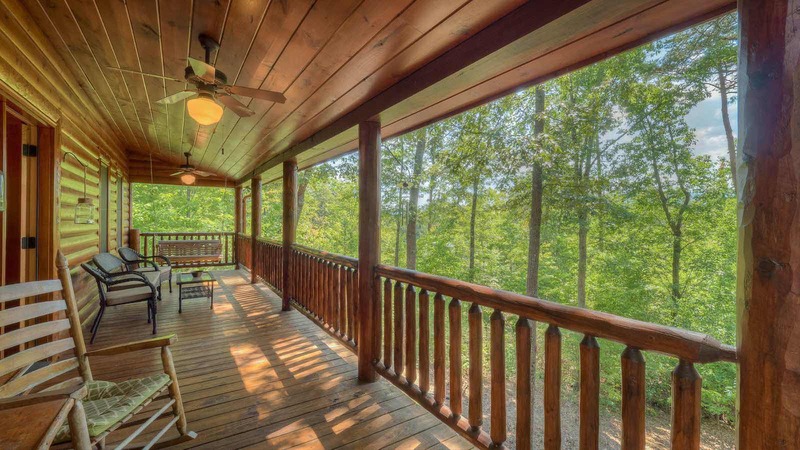 Just outside you will find a large covered porch with rockers, porch swing and picnic table. 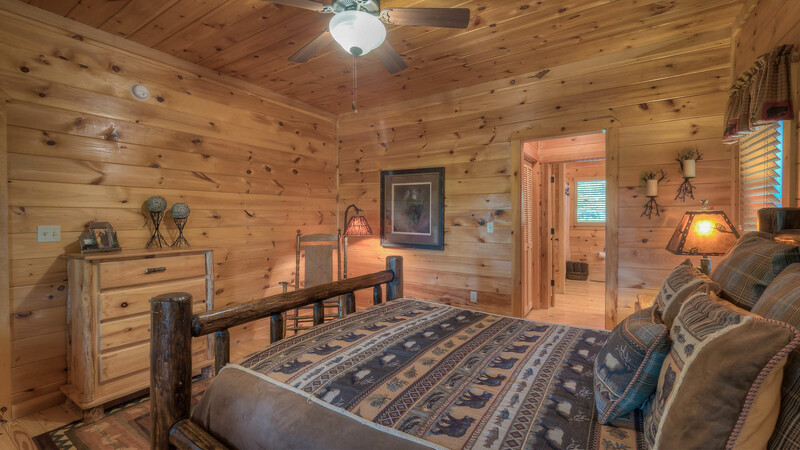 The upper level has a private bedroom with a king size log bed and full bath as well as windows for taking in the lovely mountain view. 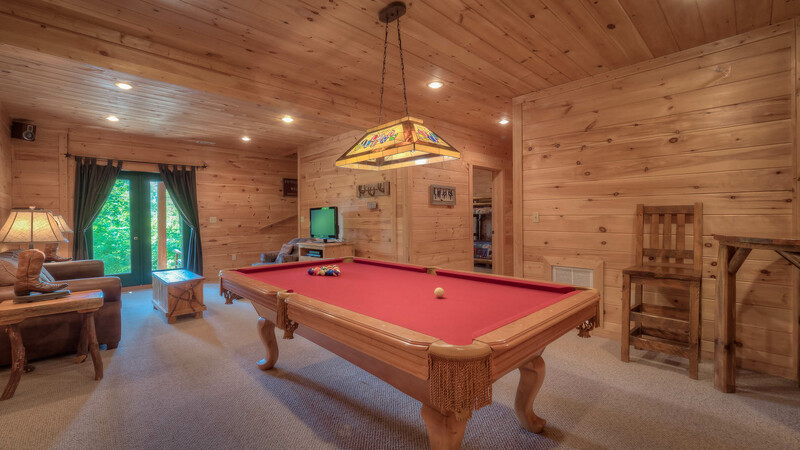 The finished lower level is decorated western style with a gameroom that has a pool table, sleeper sofa, tv, high table with two chairs. 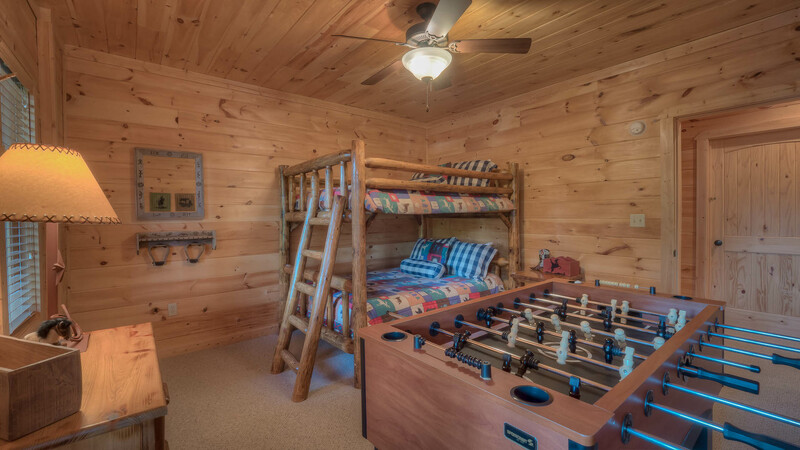 The bedroom on this level has a set of full size log bunk beds with a full size on bottom, and a full on top. 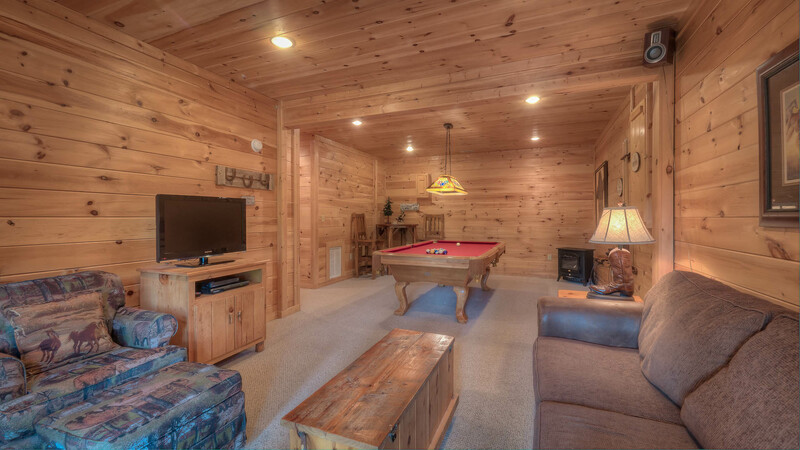 The 3rd full bath is just off the gameroom. 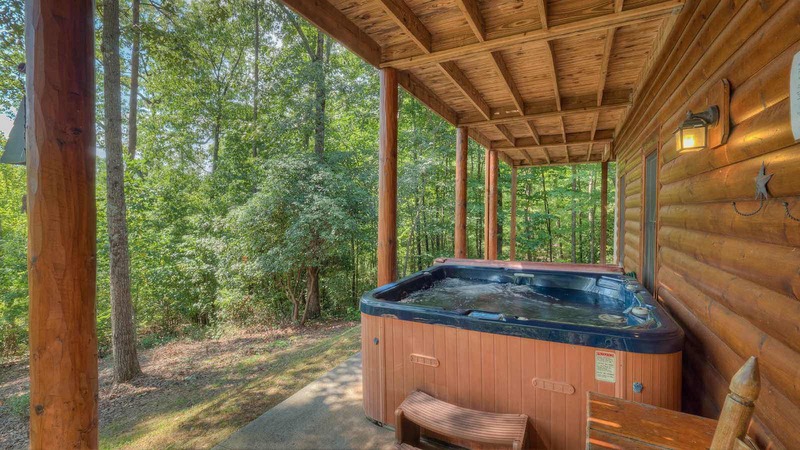 Outside this level you will be able to relax in the large hot tub, stroll down to the outdoor firepit for roasting marshmallows or hot dogs. 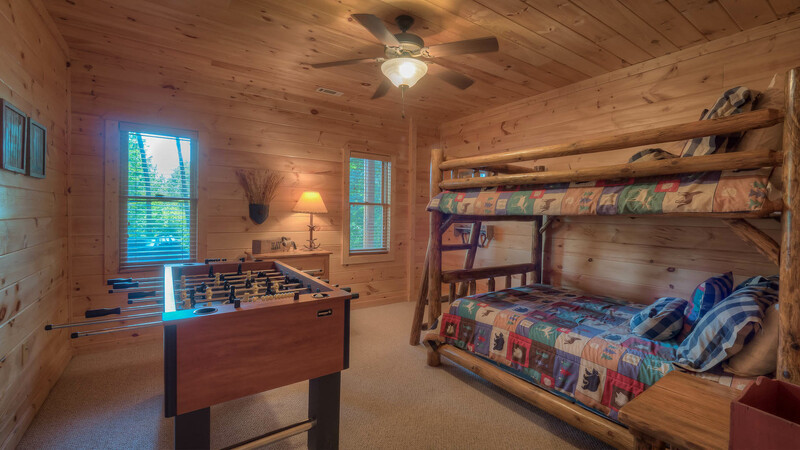 No matter what you chose to do first, you're going to have a wonderful vacation at A Beary Good Life!